The U.S. military for the first time has conducted two airstrikes against Islamic State group fighters in Somalia, where the extremists are a growing presence in a country long threatened by the al-Qaida-linked al-Shabab. The U.S. Africa Command said the two drone strikes killed "several terrorists" in northeastern Somalia, the first around midnight local time and the second later Friday morning. The strikes were carried out in coordination with Somalia's government, the statement said. Local officials confirmed the airstrikes. At least six missiles struck in Buqa, a remote mountainous village roughly 60 kilometers (37 miles) north of Qandala town in the northern state of Puntland, a Somali security official told The Associated Press. The official spoke on condition of anonymity because he was not authorized to speak to the media. The strikes sent terrified nomadic villagers and their animals fleeing, said Qandala's mayor, Jama Mohamed. The U.S. has carried out well over a dozen drone strikes against al-Shabab this year after the Trump administration approved expanded efforts against the group. Al-Shabab was blamed for carrying out Somalia's deadliest attack last month, a massive truck bombing in the capital, Mogadishu, that killed more than 350 people. Somalia's president has vowed a "state of war," with neighbors sending thousands of troops to help the local military and an African Union force. But ISIS-linked fighters who have split from the Somalia-based al-Shabab in the past couple of years pose a growing threat, notably in a part of the country far from al-Shabab's strongholds in the south. In May, The Islamic State group claimed responsibility for a deadly bombing in Puntland — said to be the first time the extremist group had claimed an attack in the Horn of Africa nation. Police said a suicide bomber detonated at a military checkpoint in the commercial hub of Bossaso, killing at least four people. The Islamic State in Somalia group was formed in late 2015 when al-Shabab fighters in Puntland broke away, perhaps influenced by an ISIS social media campaign urging them to defect, and their leader Abdulqadir Mumin pledged allegiance, according to a Report in January by the Combating Terrorism Center at West Point. "It is now believed that the group has between 100 and 200 fighters," the report says. "Importantly, the Islamic State has not officially acknowledged Mumin's pledge ... Nevertheless, operationally, ISS has arguably been the most powerful of the new Islamic State affiliates in sub-Saharan Africa." The group briefly seized control of Qandala town late last year, "making the town the first territory the Islamic State has held inside Somalia," the report says. 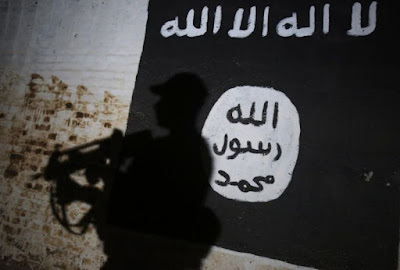 A report by United Nations experts monitoring sanctions against the Islamic State group noted in a report circulated in August the "terrorist threat" posed by its affiliates in Puntland.